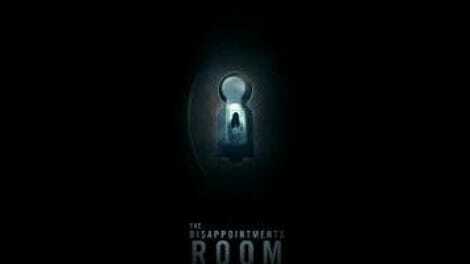 Based on its ad campaign, the primary reason The Disappointments Room was withheld from press screenings was to preserve the illusion that it might be a haunted house or demonic possession movie in the vein of recent James Wan and/or Jason Blum productions. The movie does open with a family—Dana (Kate Beckinsale), David (Mel Raido), and their young son Lucas (Duncan Joiner)—moving into an old house out in the country. But it ditches the creaking dread of recent ghost horror, checking off boxes too quickly to generate rudimentary tension: an overhead shot of an ominously dizzying spiral staircase; a woman wandering through dark, purportedly empty rooms; implications of a dead child. The only sustained suspense comes from wondering what kind of horror movie it will turn into, and the realization that it will not feature a clown doll or skittering little-girl ghosts is one of its chief pleasures. Director D.J. Caruso even performs a clever, momentary tweak on the familiar trope of an innocent young child talking to an unseen imaginary-or-is-he friend. In place of a straight-ahead haunting, Disappointments Room turns out to be a sort-of supernatural sort-of mystery in a sort-of Gothic vein (one tipoff in general vibe if not necessarily style or content: the 1943 movie version of Jane Eyre playing on TV). Dana becomes uncomfortably fixated on her discovery of an attic room not shown in the house’s blueprints, and begins to have flashes of terrifying visions, later semi-explained by a local historian (more self-awareness emerges when the eccentric old woman dismisses her own theories: “I think I’ve watched Poltergeist too many times”). The movie’s style is not particularly Gothic—Caruso throws in some dramatically ambitious shots featuring mirrors or push-ins, but little of what’s onscreen has much physically manifested moodiness—but Dana’s status as a woman ready to be dismissed as hysterical has an old-fashioned resonance. Beckinsale overacts right along with everyone else in a cast that also features a bad Brooklyn accent, kid-actor mugging, and exaggerated yokels, but she wrings some compelling moments from the pervasive hostility that seems to exist both above and below her anguish. She’s especially standoffish toward a local handyman (Lucas Till), and their exchanges have a promising roughness. This is the rare R-rated horror movie that for most of its running time might have received the rating for profanity, not gore. Disappointments has the strange confidence of a much slicker, more decisive movie, and all of its sort-ofs don’t add up to much. At times, it recalls the early-’00s Dark Castle horror projects produced by Joel Silver and Robert Zemeckis, but it lacks those films’ exploitative zeal, as well as the artistry Park Chan-wook brought to Stoker, co-screenwriter Wentworth Miller’s previous foray into the macabre. This movie is at once more serious, and harder to take seriously; toward the end, in search of psychological closure, it leaves the fate of a key character entirely unclear. The film’s meditations on the act of losing a child only turn it into a different kind of exploitation.